Search Engine Optimization (SEO) is a process that involves all manner of statistical analysis, complex computations, and iterative development to get it right. It’s a continually evolving discipline because search engines are in an arms race with online marketers. Search engines want to get the best and most accurate results in front of users. Marketers want to increase Google ranking. These agendas aren’t always in conflict, but they cause enough tension to generate a cold war of manipulation and countermeasures. 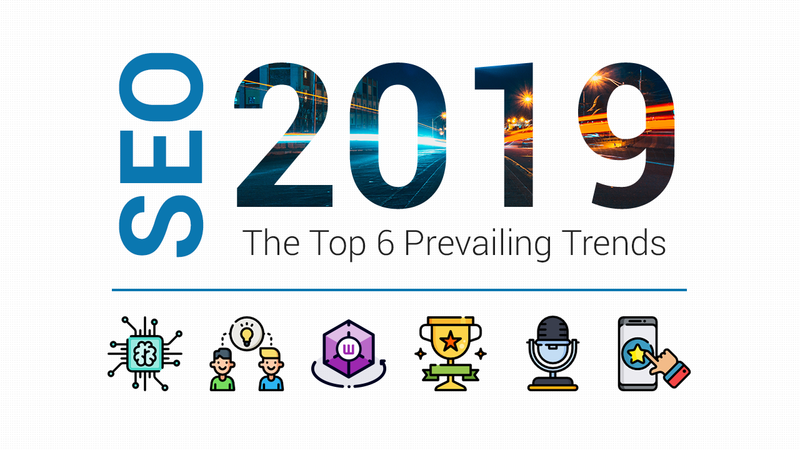 Because of this merry war between marketers and algorithms, people focus almost solely on getting ahead of the trends at major search engines to try and gain an advantage. The downside of this approach is that they forget what they’re doing it for. The users. In this article, I’m going to discuss how the tools, the strategies, and the algorithms are changing from a person-centered perspective. The aim is to aid you in understanding your users, and how that understanding should inform your actions from beginning to the end. The better you understand your target audience, the better your business will perform. SEO increases your rankings and therefore, visibility, but understanding your audience will give you a huge advantage in conversion. Google’s whole way of working is informed by the pursuit of understanding people, and how they interact with algorithms. As a result, the last ten years has seen some major sea changes in the way their algorithms work. Here are some of the major changes, and what informed them. The year everything changed. Google launched personalized search, an algorithm update specifically designed to change their focus as a company. Look at the differences: Unpersonalized results are on the left, while the personalized results are on the right. From this time, Google focused on user satisfaction rather than business needs. This might have been frustrating for big business in the short term, but incentivised far greater audiences to use their services. Social Signals was launched. The rise of social media meant there was rich data on user behavior online for the first time. Google integrated this information, changing how people shop, as well as what they look for on the internet. Google previously said that the social signals represent an obvious validation of quality of content. But there’s a problem. Users are getting sick of bad content, misleading information, or even outright fraudulent websites taking the top search results. This is because people focused solely on SEO, not on quality for customers. It made Google Search a laughing stock. 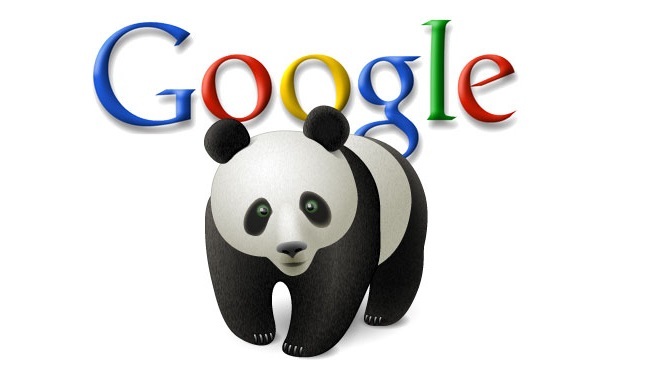 Google releases the Panda update. This takes out sites with poor quality content, demoting them in the rankings. This goes some way to helping solve users’ problems, but there are other issues arising. Users are finding an increasing number of websites may have a referral link to what they’re looking for, which instead leads them astray into spam, viruses, adware and more. Users are being duped. Google releases the Penguin update. Now, the algorithm can catch sites using so-called ‘black hat’ tactics and eliminate them. Users are saved from the actively malevolent sites out there. At the same time, however, users find themselves having to type in endless variations on the same theme to get the results they’re looking for. For example, “tracking device” and “tracking system” will deliver completely different results despite referring to the same thing. 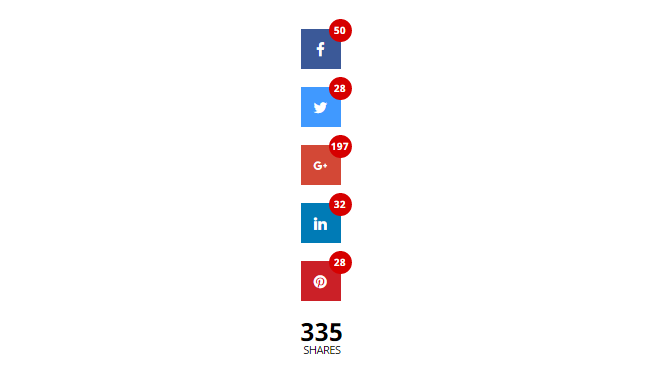 This wastes users’ time. Hummingbird is released. This is a ground-up revolution and a newly rebuilt algorithm. This introduces the concept of search ‘entities’, allowing word association, synonyms and more to better anticipate user intent as an abstract concept, rather than a single concrete action. Faster, better results come through for users. But while Google was ironing the kinks out in this service, user behavior changed. They had switched to mobile. The problem they now faced was websites that were poorly optimized, chewing through data with huge page sizes. Mobilegeddon. 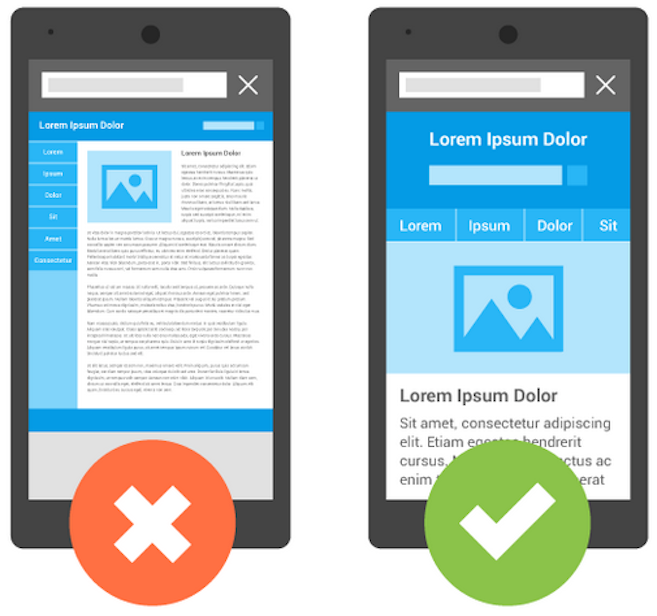 Google respond to users’ frustrations by boosting mobile-friendly websites in search rankings. This allows users to have a seamless search experience when using their phones. It also punishes businesses who aren’t keeping up to date with user behavior. The difficulty now is that users are finding Hummingbird’s intuition is less than perfect, and they are unable to get the precision they need from certain searches. Discover what we found out about Mobilegeddon here. The machine learning artificial intelligence system was the most advanced search engine system ever created, to selectively interpret queries based on user behavior and the results they clicked on. This was the first true step in authentically person-centered solutions to analyzing and predicting search intent. Understanding the lengths Google have gone to help users get a great experience should have taught you one thing: caring about users will improve your rankings. In order to understand customers, you need to be able to know who they are and how they think. There are several strategies you can use to help you get inside their heads. Different generations behave differently and want different things from the companies they choose to buy from. The Greatest Generation are the oldest generation currently alive, who served in the wars and remember economic depressions. These are not impulse buyers or people who consider shopping fun. Instead, they have to learn about and trust your company to make an informed spending decision. Their experience means gimmick marketing won’t work on them. Baby Boomers were born in the fifties and have lived through the best period of sustainable stability and prosperity of any generation (likely including those who to come). Boomers are the big spenders, and an aging population means they’ll be around for longer to spend more of that money. Don’t call them old, though. They want to stay young forever. Generation X have just hit the peak of their earning potential. They were there at the dawn of the internet, and so love newness and anything that expands their horizons. They don’t really care about brands either – the quality of the product alone will determine their buying. Millennials have now entered early adulthood and are leading the charge as far as online buying is concerned. They don’t remember a world without computers. Unlike Gen X, they really do care about brands, as they help to form their identity. Hipsterism means even small brands can grow a committed following. The iGeneration, sometimes referred to as Generation Z, are in their teens right now, and theories of marketing toward them are still in development, but trends seem to point toward customization and hyper-individualism. A demographic that rejects demographics. Different communities all have different attributes, which can be broken down in a number of ways to help you get specific on several characteristics. Any generation living in a certain community will behave differently because of their sociological and environmental factors. Family? Are they single or married, with kids of without? Part of a family or living alone? Rent or Own? Does your ideal audience own their home or rent? How does this affect their spending? Disposable Income? How much do they have and how does that affect how they choose to spend it? Hobbies? What do they enjoy doing and how does your product facilitate that kind of lifestyle? For business products hobbies can be replaced with tasks. You can define these more specifically to help you understand the forces that are acting on your customers and influencing their behavior. This behavior affects how they search as much as how they buy. 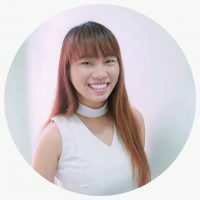 Unlike developing marketing personas, which can often be the result of flights of fancy and ‘ideals’, these can now be based on hard data and the words those people are actually using when doing searches. People who search using “how to” are looking for direct answers to direct questions, often with a step-by-step actionable guide. People who search using “best” are usually looking for a round-up of the top performing products or services. People who search for “cheapest” are bargain hunting. This may seem obvious to say, but you may not have thought of using this information to target your content more effectively. So what words are people choosing to use? For that, you need keyword research. Using Google Analytics in concert with AdWords, you can find demographic data on your keywords that will enable you to use the information above to tailor your approach. Remember, Google wants you to increase Google ranking, just in the right way. 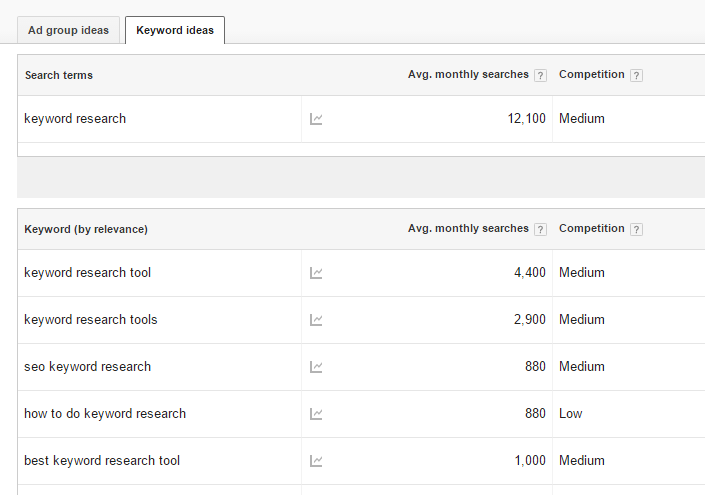 Using Keyword Planner, you can enter your product or service, then set your targeting by location, language, and more. Hitting ‘get ideas’ will serve you up a list of relevant keywords. You can then break down the location to see where these keywords are most popular. Keyword Planner by Google AdWords is a free tool that can help you to look for more keyword ideas and analyze the performance. And now you know who is looking, what they’re looking for, and why. All you have to do now is respond to that. Users are no longer referred to as ‘readers’. Increasing we use the word ‘audience’, from audio – to listen. In fact, as I’ve pointed out before, sight is our most dominant sense. That means you need a multimedia approach. Because so much of our brains are dedicated to visual processing, images can help people understand content more easily. Not as easily as some claim, but it’s still important. Graphics and video are beginning to become increasingly important, and this is because they fit our natural bias for processing. What’s more, it’s a far richer medium. You’ll have heard that “people sell to people”? Well, video allows people to meet you without ever actually meeting you. Users can hear you speak, watch your body language, and deepen their relationship with the company through you. 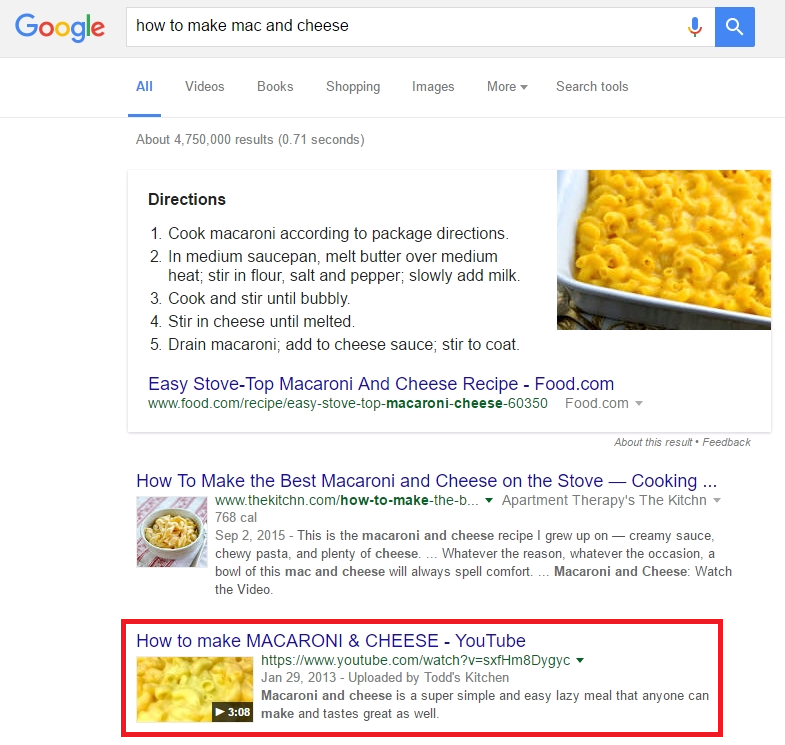 Video content already gets its own section in Google Results, above the text listings. Just sayin’. This isn’t about understanding individual users, it’s about understanding the fundamentals of how human beings are built, and that technological advances can allow us to tap into that to be more compelling, more easily. Eventually written text will be a minority medium online because we prefer almost any other method of communication. Emojis are a great example. Google updates have been fire-fighting against black hat tactics for years, and a by-product of doing so has been a rejuvenated focus on high-quality content. That actually takes the pressure off you mastering computer science. You can stop trying to ‘trick’ search engines into ranking you and get ranked for the right reason: relevance. Relevance again might seem obvious, but go deeper: relevance isn’t just talking on the right topic. It’s using the same words and phrases as the people you want to talk to. Sociolinguistics is an area of research that looks at how language use is defined by the people we hang around with. If you sound like someone people would hang out with, they’ll instinctively trust you more. Googles wants to keep users happy and so should you. If you make users happy, Google will like you. But of course, both Google and users still have to find you. More importantly, though, address the fundamentals of human curiosity. The journalists’ golden questions- 5W1H. Include these very words in phrases because this is how people go searching for answers. If all this sounds overwhelming then don’t worry, we’ve got you covered. Just use SEOPressor Connect. You can enter your keywords and SEOPressor will let you know how optimized your content is, as well as giving you ideas and inspiration for how to improve it. 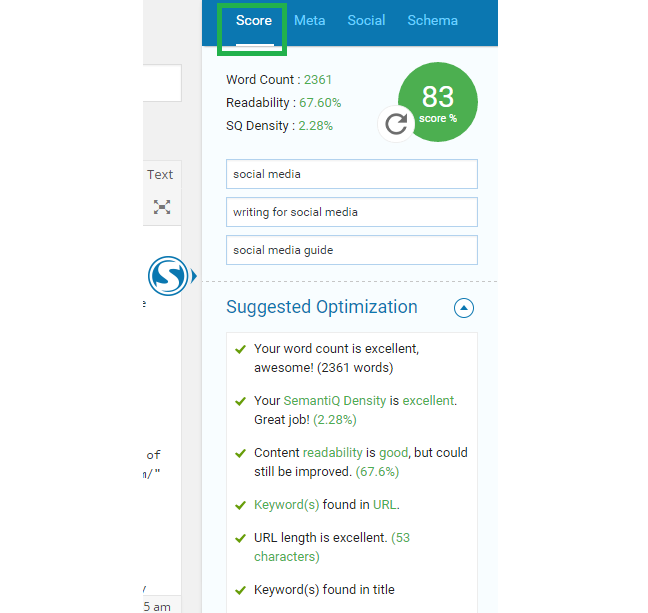 SEOPressor is like a checklist for us to analyze the steps that we’ve overlooked to improve our on-page SEO. Just like Google and Marketers’ agendas can coexist, so can your technical and person-centered writing. I’m not saying you should abandon keyword density, I’m saying you should remember to make sure your content matters to the people who find it. The New York Times’ Customer Insight Group shared a host of key findings in their latest survey, all of which can help you understand why content matters to people. Here, I rank these effects by their relative power and suggest ways you can channel that power into your writing. To get more detail, Azfar has created a step-by-step guide to understanding why people share, which will go a long way to telling you why people like good writing. This will also enable you to be able to leverage whole other streams of audience development like influencer marketing. Influencers are expert curators who develop huge fan followings because they only share the best content. For those who can develop partnerships with influencers, this can be incredibly beneficial. We’ve talked about the fact that SEO is constantly evolving because search engines are too. People using SEO become frustrated so often because they use tricks and hacks to take shortcuts, and those shortcuts then get cut off or even punished by search engines, causing them to have to start from scratch. By looking deeper at the search engine’s intentions, and those of the consumer, you can evolve your approach so that you never have to feel that frustration again. The approach now centers on end users, their intent, and what is useful and relevant to them. If you center your approach, in the same way, you’ll see transformative results. Psychology is not a trick or a hack. It simply describes what we do and why we do it. This can help you create better products and services, as well as content. This means it’s time to stop thinking of SEO as a technical process. It is a tool that reinforces your marketing, social media, press releases, PR and more. Don’t try and cut corners on your SEO, instead, try to maximize ROI. You can do this by worrying less about traffic and more about sales. You get sales from conversions and maximize conversions through a focus on tightly targeted keywords. You choose those targets by understanding what people are looking for, and you understand the people by focusing more on the client than on your business. All content is a matter of sharing a perspective. By flipping your perspective to come from where the client is positioned, you move from an oppositional stance to being on the same team. What are your thoughts about the psychology of SEO? Do you think you can increase Google ranking by understanding user behavior? Let us know by leaving a comment down below!